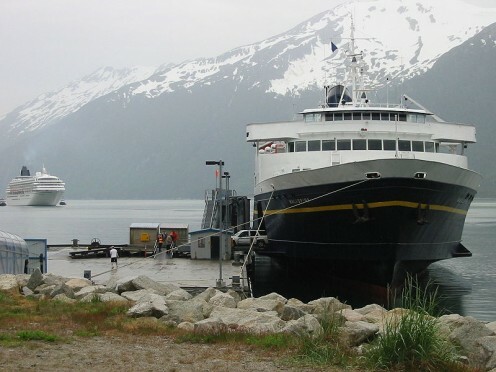 The Malaspina at Skagway port locally. 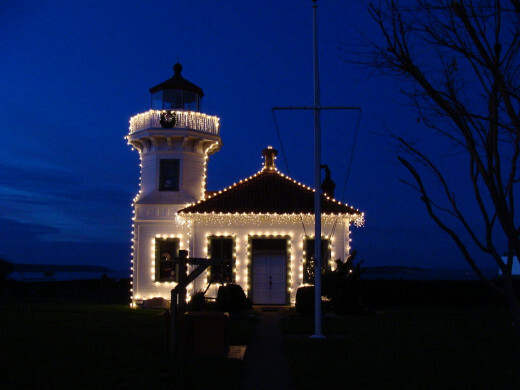 Mukilteo in the Number 10 Best Place to Live in America, recognized by Money Magazine for 2009; and remaining in the top 10 ranking through 2016. Mukilteo is a Snohomish native word that indicates a "good campground" and it is definitely that. While other parts of the West Coast went into decline in 2009, this suburb of Seattle and Everett in Snohomish County, Washington did not. It's nearly 21,000 residents are still living a high-quality, stable, and expanding lifestyle. Listen to Mukilteo, the song, written for the city below. The Unemployment Rate for Mukilteo is about half that of the rest of the West Coast, the diversity of employment bolstered by the presence of Amazon.com and Drugstore.com, the Aerospace Industry, High Tech enterprises and developments, and Microsoft. Healthcare also offers many jobs. This city is located on Puget Sound between Everett to the east and Seattle, 25 miles to the south. Both of these larger metro areas offer employment and other attractions to visitors and new residents. 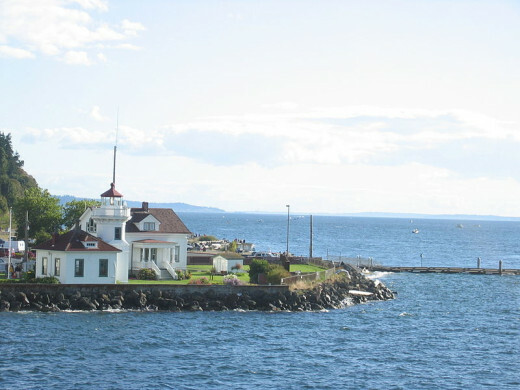 Mukilteo is an attractive city close to Seattle, but without the higher cost of living, including lower property taxes. The coast of Puget Sound is one of my favorite places in the world. The waterways, fresh air, gulls, and foghorns are a pleasant backdrop to a good life. Ferry rides over to Vancouver Island provide a relaxing method of traveling to Victoria, Butchert Gardens, First Nations settlements, Canadian lighthouses, museums, shopping, and all sorts of culture and fun. 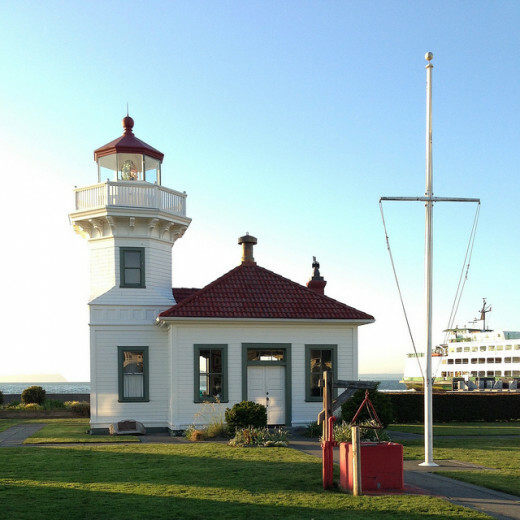 The Mukilteo Lighthouse Park was once the Mukilteo State Park, but a long range improvement plan is in pace to create public art displays by the Tulalip Tribes of Snohomish County. 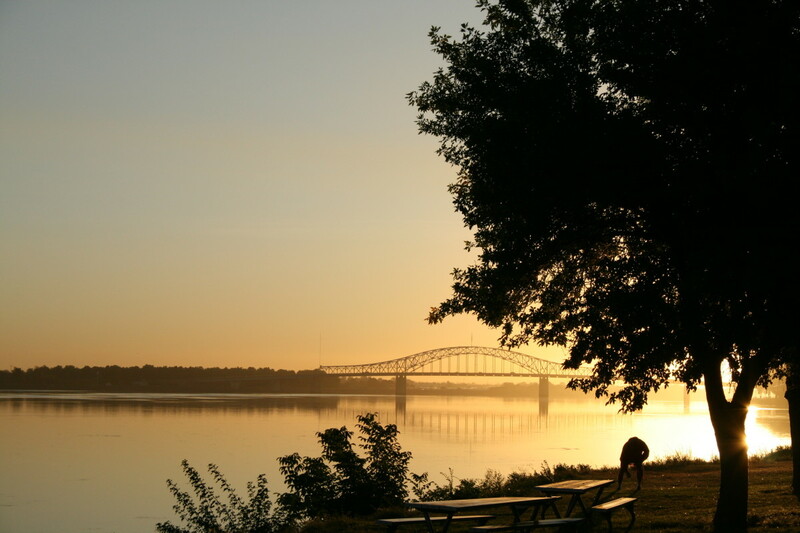 The park includes a walking path, a public boat launch, and special events, with future development planned. The Victoria Clipper Ferry schedule, vessel information, ferry locations and travel needs including our ferry to Victoria, BC. This is one of my favorite ferries. Washington State Ferries are also very good. Find them at www.wsdot.wa.gov/ferries. The following local employers list the most jobs available. Number have risen from December 2009 with over 35,000 jobs to February 2015 with 73,400 job vacancies. As the unemployment rate lowered to 2.7%, there were still over 42,000 jobs open in July - August 2017. Bold print below indicates jobs already in high demand in local job listings along Puget Sound from Everett to Seattle. 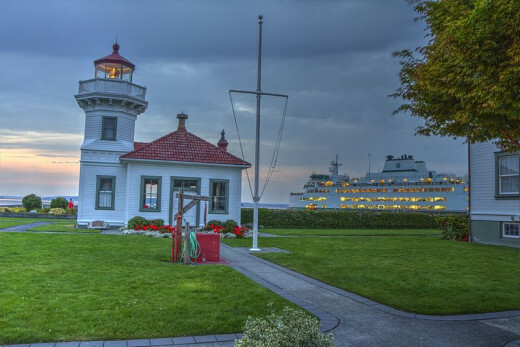 Mukilteo played a historic part in the development of the early Puget Sound area and today, continues its economic role in the area between Seattle and Everett and just south of Vancouver Island, Canada. The community was founded in 1947, but a peace treaty with two dozen Snohomish County area Native North American groups had already been signed here back in 1855, nearly a century before the city's founding. 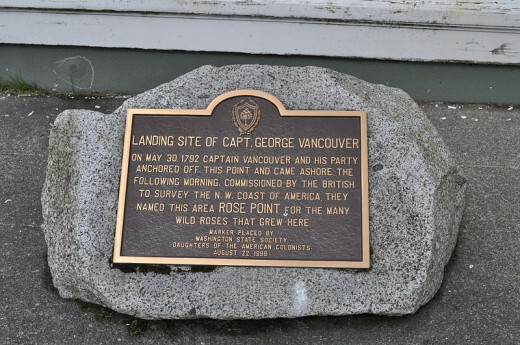 The Indigenous Peoples of the area would remain important to this day, evidenced by the city's installation of their public art works in the leading lighthouse park of the area. The city became a seaport early on, a trading post center, a fishing village, and a lumber town. 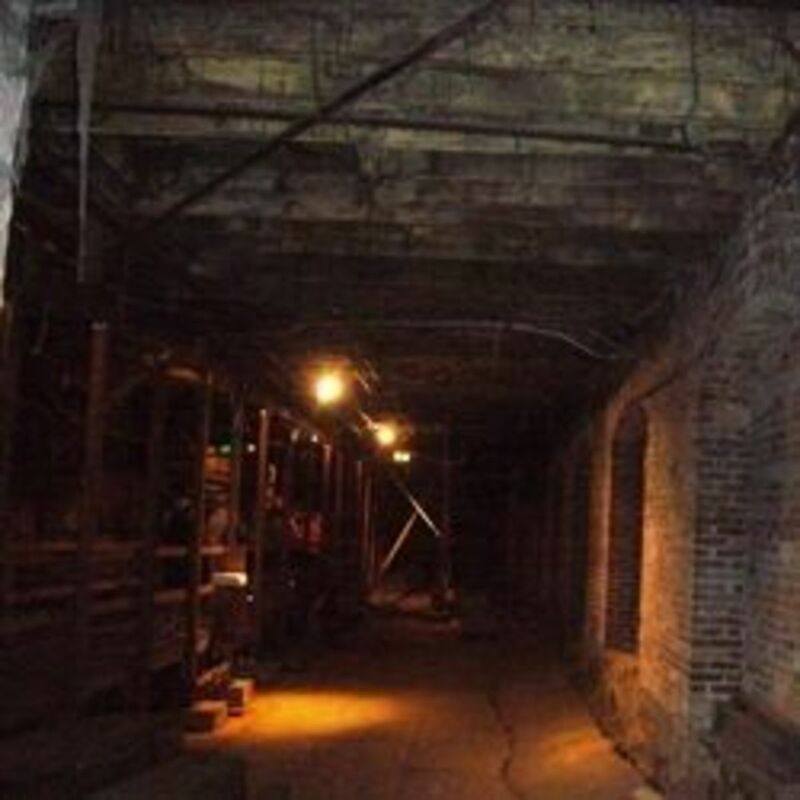 The USAF later used the town for storage facilities, a lighthouse was built, and the railroads came through successfully, allowing the community to grow and and prosper with increased traffic. The momentum of growth spurred development of the attractive waterfront and encourages annexation of additional lands in 1980. The community is still growing, seemingly untouched by the Great Recession. Ferries were added all along Puget Sound to ease access to cities beyond the water and today, the Mukilteo-Clinton Ferry carries at least 3,000,000 passengers per year. Efficient, high speed commuter rail service and other advancements in transport and business will continue to 2020, at which time a new long range plan will be initiated for further development. The Snohomish, a long-time nation living in the Pacific Northwest since about 10,000 BC or earlier, signed a treaty with the US in 1855. At least 20 other Native American Nations joined into this treaty. The office of Snohomish Tribe of Indians is a single community among all of the small tribes of Western Washington, but not officially recognized by the US Federal Government. 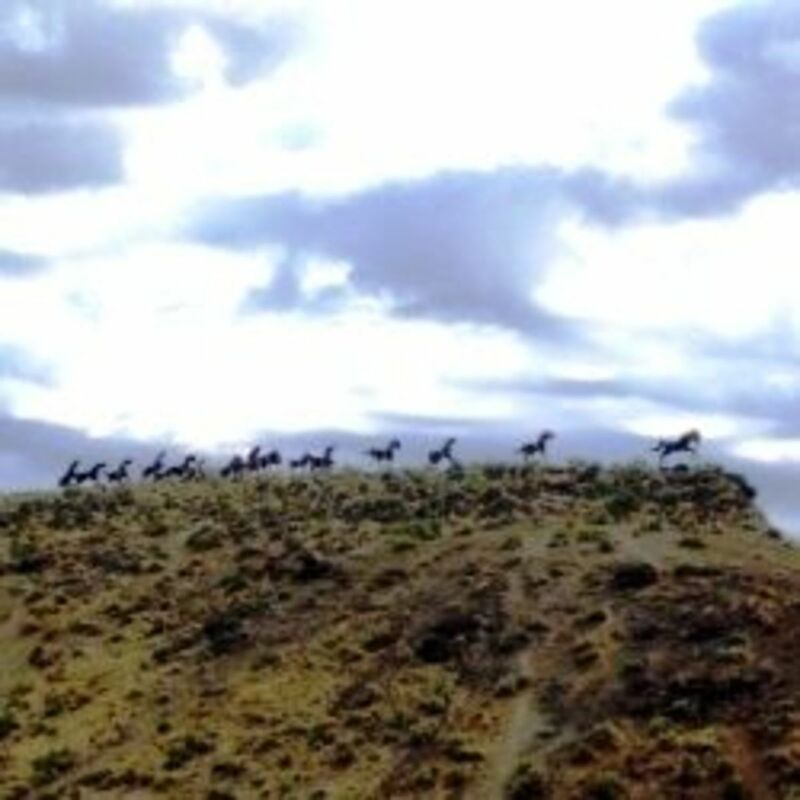 These people take issue with procedures of the Bureau of Indian Affairs pertaining to when their application for recognition was considered and are in process of legal remedies. Cultural preservation education for their children and youth. Snohomish Tribal Summer Gathering is a Pow Wow without the large competitions and prize moneys awarded by Plains Indians groups, and it has been hosted annually since 1999 in August. The Snohomish people and adjacent NW Pacific communities continue the tradition of the ancient tribal canoe. Not only are they built and painted in interesting traditional patterns, but joined in a journey together each year for cultural preservation and community building. Embry-Riddle Aeronautical University in Everett, Washington: This university offers many programs, degrees, and certificate in important aerospace industries that are gaining traction before 2020. Aerospace is the next big target of business expansion from 2020 - 2030. Additional colleges, universities, and technical schools or career colleges are located in Seattle, Redmond and the greater Sea-Tac Area. This is a great hub! I grew up in Arlington, just north of Snohomish. I love the Puget Sound, such a great place to live. Someday I would love to end up back there. You're right about dentists being a high demand profession in the area. My sister is a dentist (http://loveyoursmilevictoria.ca)up there and her practice has grown so fast in the last few years.